The Ministry of Civil Aviation said on Saturday that airlines are now operating additional flights to Srinagar to ease rush of passengers stranded due to a halt in flight operations earlier this week owing to heavy snowfall. 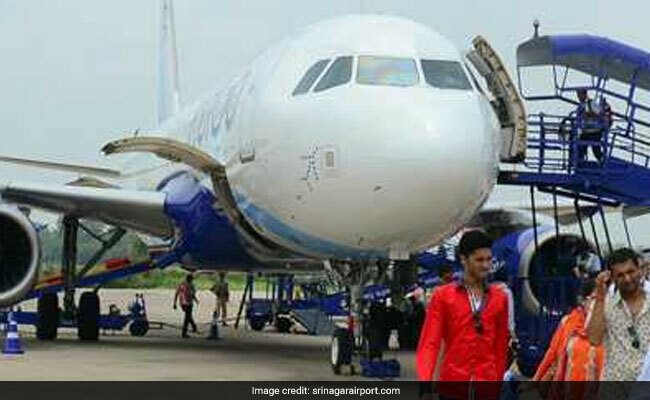 "After the closure of Srinagar airport earlier this week due to snow, airlines are now running extra flights to take passengers to their destinations. The weather is now clear & these extra flights should help all reach their destinations soon," the ministry tweeted. "11 extra flights will be flying today from & to Srinagar; 2 had flown yesterday & some more, depending on the need, are planned for tomorrow and day after," it added in another tweet. Kashmir had remained cut off from the rest of the country for the past few days as the Srinagar-Jammu National Highway remained closed and flight services were disrupted at the airport due to heavy snowfall in the region. Delhi Airport tweeted, "Due to bad weather, a total of 28 flights to Srinagar were cancelled over the last three days. However, flight operations have resumed yesterday. More than 20 flights have operated to Srinagar today." Sanjiv Kapoor, Chief Strategy and Commercial Officer, Vistara Airlines, tweeted on Saturday, "Vistara is operating an additional flight to Srinagar tomorrow, and has voluntarily capped its economy and premium economy fare at Rs 12,000. Fares are capped at this level thru February 13. We hope to operate more additional flights on Feb 12 and 13."